Hurry !!!!!!!!!! the contest closes in 4 days.....Click the link on your right for more information on this contest. Here are a couple of mood boards I made recently. A mix-match of a classic-country Kerala bedroom with peacock accents. This one is especially for Patricia from Colours Dekor and for her love of a peacock theme. 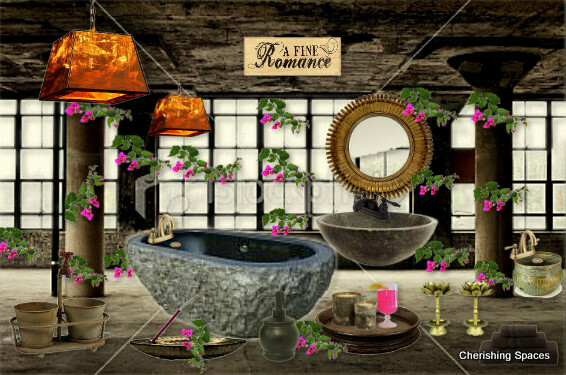 This one is a Romantic black bathroom inspired by the Bouganvillea Flower. 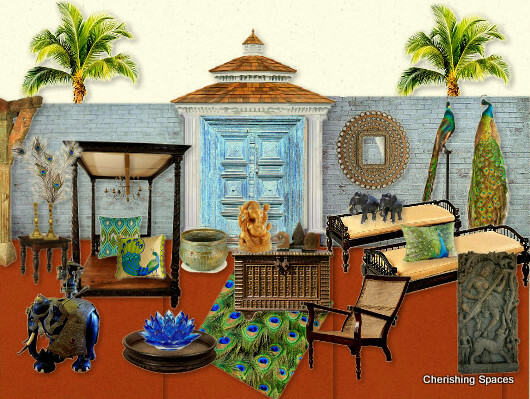 Exotic!This is very addictive.I got to see some amazing mood boards through this series. Love both your boards. The bathtubis so elegant, fit for a queen ! !